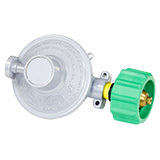 This unit is for Propane Gas, but is available for Natural Gas. 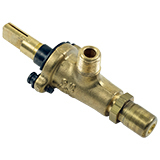 If you wish to order a Natural Gas unit, please call us at 800-326-9575. The Big 60 II is the best outdoor utility stove on the market. Two (2) large 10” diameter, low pressure, triple ring burners can be controlled from 2,000 BTU’s - 60,000 BTU’s using each independent control valve. 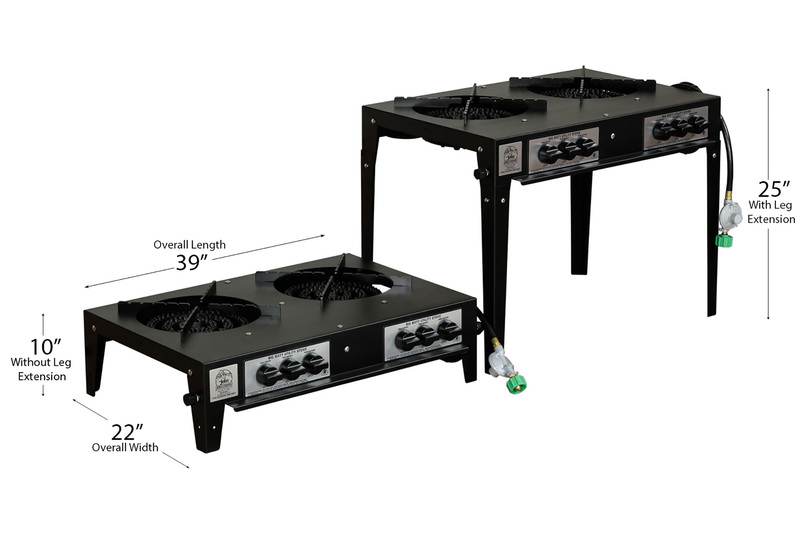 Our Big 60 II features two (2) separate 10” triple ring burners made of cast iron secured in a painted steel frame that can be operated on a table-top or free standing using the included leg extensions. The two (2) section 60,000 BTU adjustable, low pressure burners evenly distribute a clean burning and efficient blue flame across the entire bottom of the pot and/or wok. We pair this utility stove with a 40 quart pot set made from 3004 aluminum that spreads heat evenly along the base and sidewalls for efficient heating. This pot set features a straining basket, lid, and pot with double thick top ring and double thick bottom to prevent warping and resist denting. 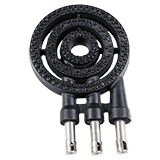 • 2 – Cast Iron 10” diameter 3-ring burner ranging from 2,000 BTU’s to 60,000 BTU’s. • Total weight of Big 60 II & 40 Qt. Pot Set is 99 lbs. • Shipment Dimensions: 48”L x 44”W x 35”H = 20.78 cubic feet, shipping weight is 134 lbs. • Ships via Common Carrier Freight (UPS Freight, XPO Logistics) tail gate delivery. Ideal for steaming or frying - lobster, clams, shrimp, or fish boils as well as to steam-cook vegetables and deep-fry turkeys. The included perforated basket can also be used for draining foods and are ideal for veggies and pastas. The bail handle is made for easy removal from pot for quick draining. Features 3/8" embossed feet. 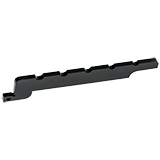 This set is manufactured from fast, even-heating 3004 aluminum with double-thick tops and bottoms for extra strength in the critical stress areas. 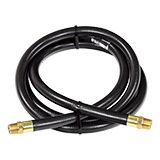 All of our grills are low pressure, but we choose to use a high pressure hose with low pressure fittings because they are much safer and can carry up to 125 PSI vs 1/2 PSI capacity. The heart of the Big 60 Utility Stove is a huge 10" diameter cast iron burner. This 3 ring, low pressure burner is far superior to the burners used in high pressure pot cookers and is able to produce and accurately control a 2,000 to 60,000 BTU heat range. The Big 60 stands alone in its ability to simmer, boil, sauté, stir-fry, steam, and deep fat fry. Each burner ring has its own, fully adjustable control valve with attached air mixer for even more heat control. The 4 finger grates act as pot supports and elevate the pot off of the Big 60 burner for air circulation and even heat distribution. 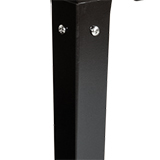 These stoves are built tough and can be operated table-top or free-standing using the included extension legs.